These days every website must contain a section that is called “Share This”. After creating facebook style posting and youtube style rating system I have now come to share button. I have created youtube style share button with url shortening script. Try the demo and use this awesome tutorial on your web pages. Hope you will like this. I have combined some of my popular and user rated tutorials in a single post to bring them at one place. Here are some jquery tutorials with demo and download. There are some of them and remaining parts will be provided soon. 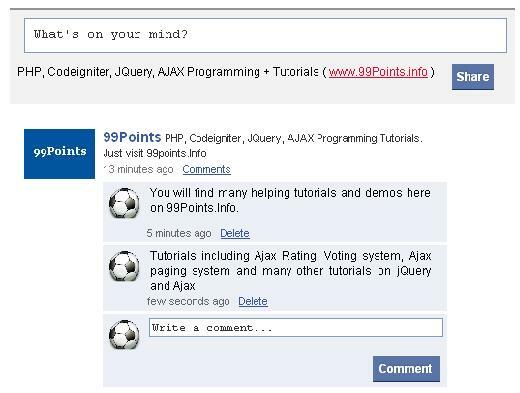 Ajax Tutorial: How to Create Ajax Search Using PHP jQuery and MYSQL. 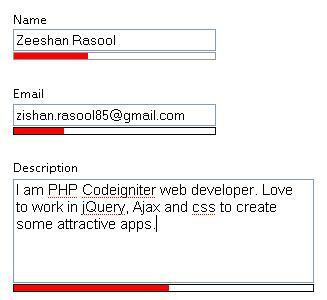 This tutorial shows how to create simple and attractive Ajax based search using PHP, jQuery, MySQL and Ajax. Simple script to check username availability using jQuery and Ajax. Try out demo and use it. I used gif loader and jquery fade in effects to make it fit. You can find many script like this but i want to keep my valuable users here to share their development needs. Facebook style wall posting and commenting system. Try a new reloaded version of demo which is almost similar to facebook style. My previous facebook style posting system was not so much like original facebook posting style and also there is no commenting system So I created this tutorial again to complete the commenting system and I tried my best to give my dear users a complete posting script with comments system. Facebook is now a days top social networking site. So I have created some tutorials similar to facebook. Youtube style rating is also very popular tutorial on this blog. Hope you like it. Waiting for your feed back to make it more good.